NHS England, in partnership with the National Measurement System (NMS) – the Government funded body that maintains the UK measurement infrastructure – has announced the winners of its first Chief Scientific Officer’s (CSO) Knowledge Transfer Partnership Programme. The bespoke 12 month development programme gives clinical leaders in healthcare science the opportunity to create, test and implement innovative ideas to improve patient care and identify new approaches to measurement and outcomes. The programme involves collaboration at a senior level with partner organisations across the UK’s National Measurement System (NMS) at leading centres of excellence in science and technology. It is designed to enable senior healthcare scientists to remain in clinical service whilst building long term partnerships between clinical, research and industry teams This collaboration and learning from other science led organisations is crucial to putting science and innovation at the heart of the NHS, delivering the next steps on the five year forward view and ensuring sustained improvements to scientific services for patient benefit. Rachel Carling graduated with a first class honours degree in Chemistry from Manchester University in 1996. She then gained a PhD in Analytical Chemistry before moving to Leeds and training as a Clinical Biochemist. She chose to specialise in metabolic biochemistry because of her interest in analytical techniques and became one of eight Higher Specialist Trainees in Metabolic Biochemistry, obtaining FRCPath in 2007. Rachel is now a Consultant Clinical Scientist at Guy’s & St Thomas’ Hospital where she is Director of South East Thames Regional Newborn Screening Laboratory and Scientific Head of Service and Clinical Lead for Biochemical Sciences. Her main area of interest is inherited metabolic disease with a particular focus on the application of tandem mass spectrometry to the measurement of small molecules. She is passionate about science, an advocate of A3 thinking and committed to service improvement. 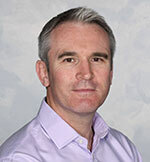 Colin gained a PhD in Radiation Physics at the University of Surrey, supported by an EPSRC CASE studentship, initiated by and in collaboration with the National Physics Laboratory. Research interests to date having included Monte Carlo simulation of photon, electron and proton beams for radiotherapy, mathematical modelling of radiotherapy outcome and in vivo dosimetry for proton therapy. He has supervised 6 PhD students so far studying projects in these areas. “Radiotherapy is a high technology healthcare service that benefits from knowledge and technology transfer from mathematics, physics and engineering research. Partnerships between the NHS, academia and industry are essential to identify clinical challenges, explore potential solutions, and safely bring new technology into the NHS. This offers improved outcomes for patients in terms of a higher likelihood of curative cancer treatment and a reduction in the frequency and severity of side-effects that impact on later quality of life. Jason began his education in physics with a BSC in Astrophysics an MSC in Radiation Physics, before going on to study for a PHD at Birmingham University, focusing on flattening-filter-free (FFF) radiotherapy. 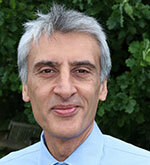 His research interests include adaptive radiotherapy; knowledge based planning and particle therapy. In 2016 Jason received a scholarship from the Royal College of Radiologists to spend time at the University of Florida Health Proton Therapy Institute in the USA, working in the field of particle physics and proton radiotherapy. “It is critical that good ideas that will benefit patients find a way to move through to clinical practice in the shortest timeframe possible. Without the correct infrastructure and support many projects fail to reach completion. The key to many of these issues is early support, direct collaboration, and early involvement with industry and the National Measurement System”. Advise at a national level through membership on the Office of the Chief Scientific Officer’s NHS England senior advisory group. Input into the UK’s National Measurement System research programmes to help ensure they provide benefit to the NHS and address key clinical challenges. Enhance their leadership skills through individual King’s Fund executive coaching sessions and join other senior leaders and CEOs at The King’s Fund annual leadership summit. Critically explore and expand their research idea through a twelve-month programme of outcomes-focused master classes, action learning sets and mastermind sessions with topic experts and improvement colleagues at The King’s Fund. Attend the National Chief Scientific Officer’s Conference 2018 and access other professional speaking and ambassadorial opportunities. “I am pleased to announce our inaugural winners of our Knowledge Transfer Partnership Programme for Leaders in Healthcare Science and look forward to a successful year of collaborating with our new Associates, our partners in the National Measurement Systems and the King’s Fund”.